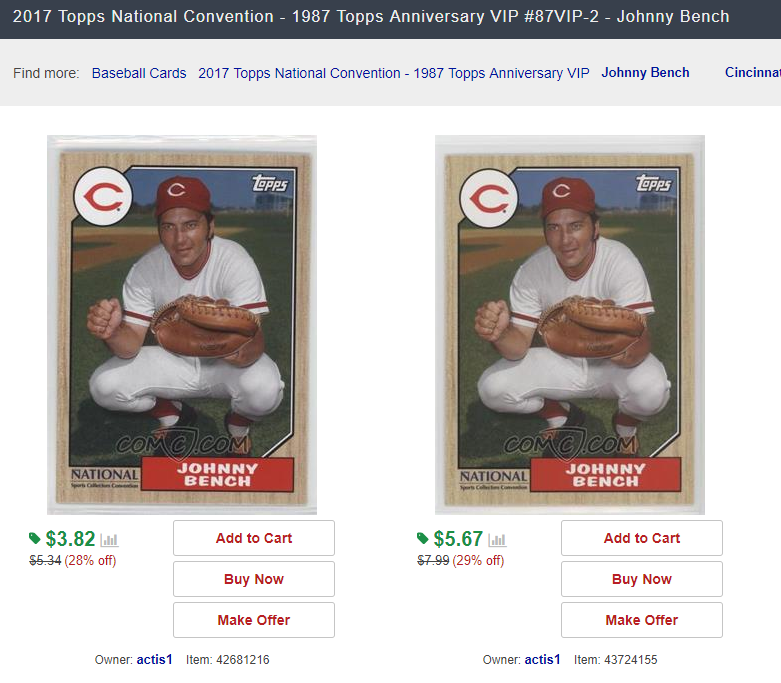 While registering for a COMC account and buying COMC Store Credit allows users to access some of the unique features that make COMC the Safe and Easy way to Buy and Sell online – buying over time and shipping later, reselling cards on our site, making offers, etc. – we do provide an option of paying by debit or credit card, or through your PayPal Account, and with or without registering for a COMC account. Search or Browse our inventory until you find what you’re looking for. 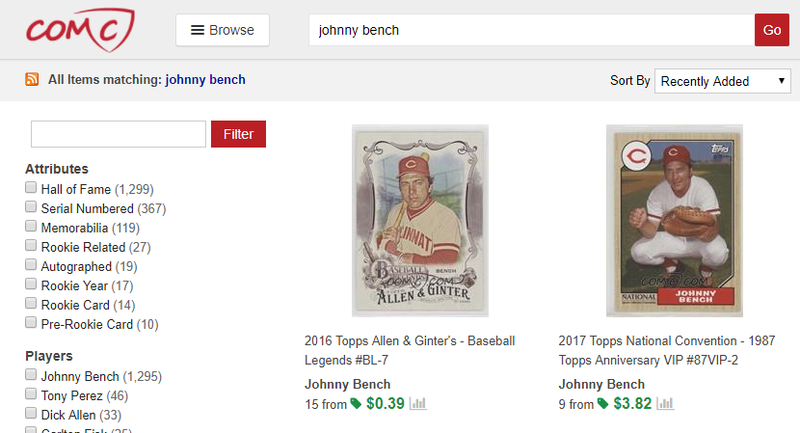 Look through the listings of the copies we have available, and click Add to Cart on the items you want. Continue this process until you have added all of the cards you want to purchase to your cart, and then click the shopping cart icon on the upper right hand side of the screen. Please keep in mind that items in your cart are not “on hold”. 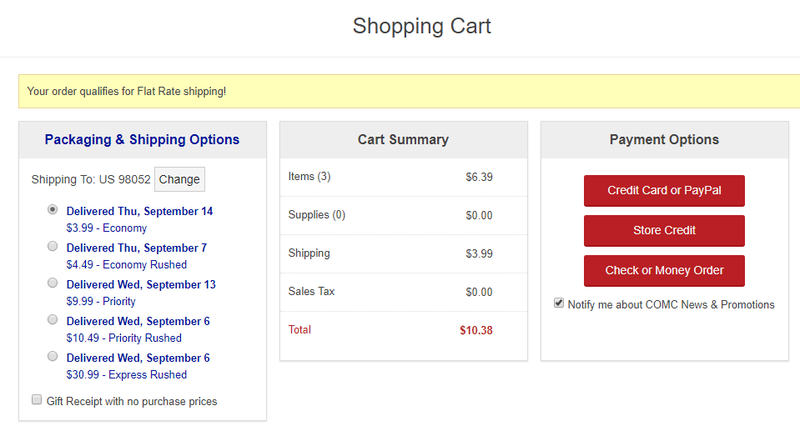 Shopping cart information is saved as a temporary internet file on your computer. On the Shopping Cart Page, you can choose your Packaging & Shipping Options and review the items to be ordered. Clicking the Credit Card or PayPal option will redirect you to PayPal to complete the transaction. 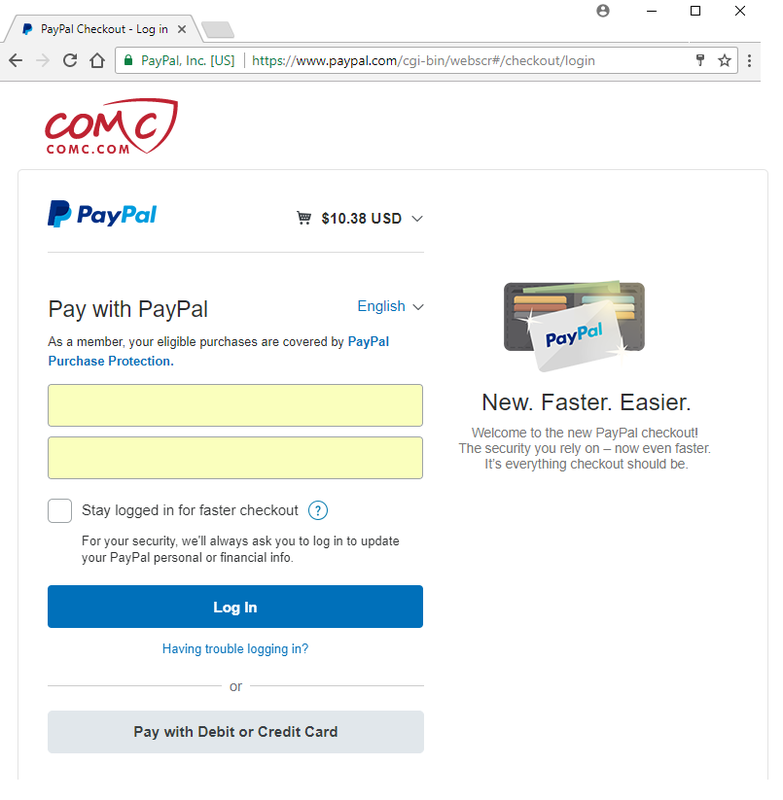 Either log into PayPal to pay with your PayPal account, or click the Pay with Debit or Credit card if you do not have a PayPal account.